EcoNorth > EcoBlog > Residential Development > Have I Got Newts For You! 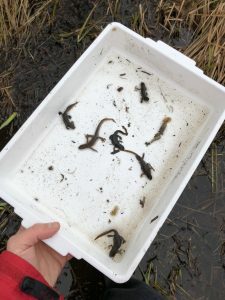 EcoNorth began the great crested newt survey season a little later than usual this year, due to the recent inclement weather delaying the start of the season. One of our licensed ecologists has been assisting with great crested newt and amphibian surveys at Scotswood Natural Community Garden, a wonderful garden and mosaic of habitats that is maintained by volunteers for the local community in the West End of Newcastle. Not only are these surveys benefiting the charity by monitoring the population of great crested newts and other newt species in the local area, the surveys are also aiding with scientific research in how baiting of bottle traps can affect the number of newts captured, in order to potentially inform and improve great crested newt survey methodology. The surveys are being coordinated by Alex Blackburn, a postgraduate student from Newcastle University, who is also one of our very own assistant bat surveyors during the summer. 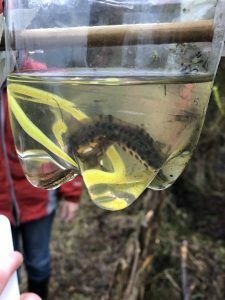 Bottle traps – which are the standard method of capturing newts – are being baited, some with glow sticks and some with a food source, in addition to ‘control’ traps being set without any lures. Early indications show that glow sticks are very successful in attracting newts into the bottle traps and thus potentially improving the capture rate. However, we’ll leave the final conclusions to Alex after he has completed all of his surveys! Do you have a site you are wishing to develop that contains waterbodies or potentially suitable habitat for great crested newts? You may need great crested newt surveys to be undertaken. 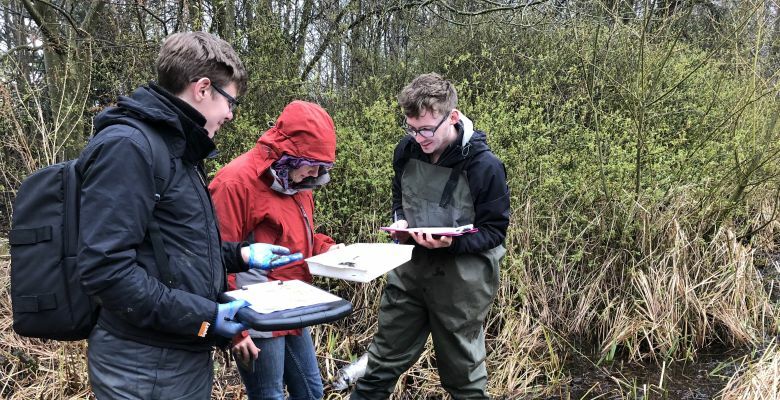 The optimal period for great crested newt surveying is mid-April to mid-May, with the final survey period concluding at the end of June. Contact EcoNorth today, to discuss your great crested newt survey requirements and ensure you don’t miss the survey period.